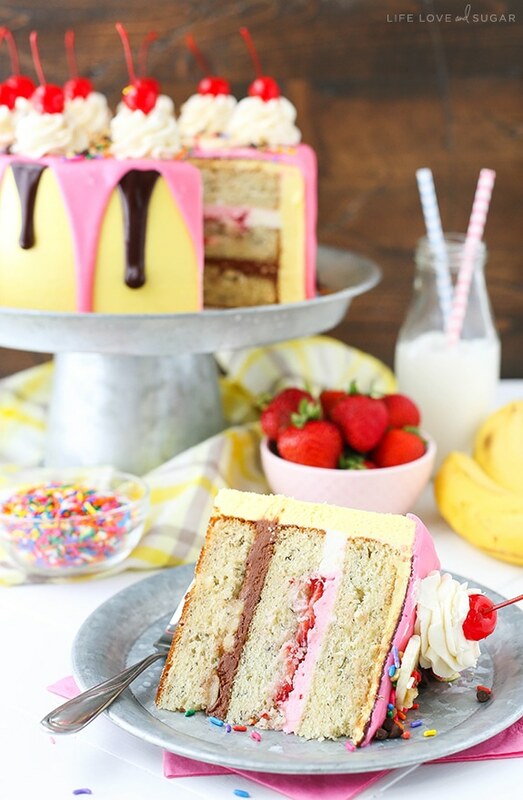 This Banana Split Layer Cake has layers of moist banana cake, strawberry frosting and sliced strawberries, chocolate frosting, sliced bananas and nuts – then it’s all covered with vanilla frosting, chocolate ganache and more! 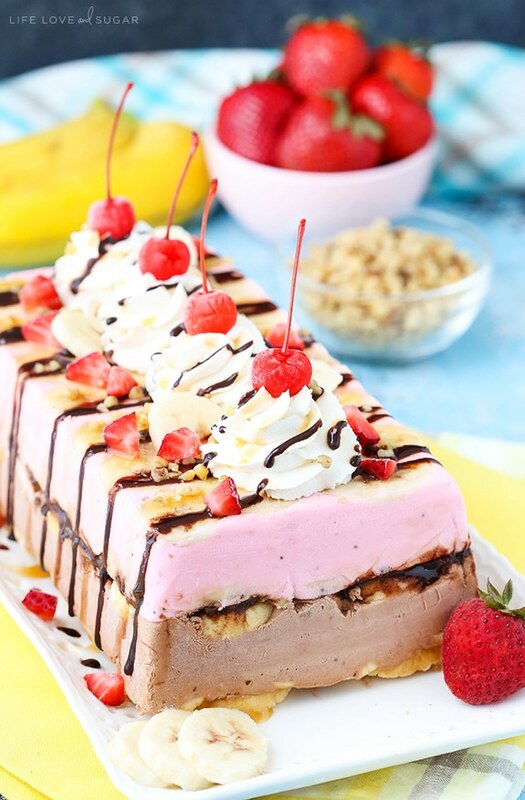 It is FULL of the great flavors of banana split and an absolute new favorite! 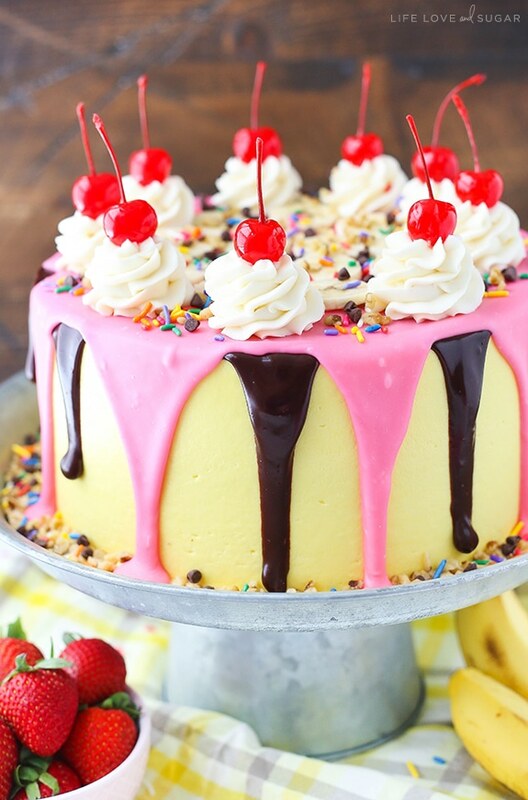 Banana split is one of my favorite mix of flavors. I am a fruity flavor gal all the way. If ever I forget how much I love it, I need only to re-make this cake and I will remember why. It might just be my favorite cake ever. Big statement, folks. 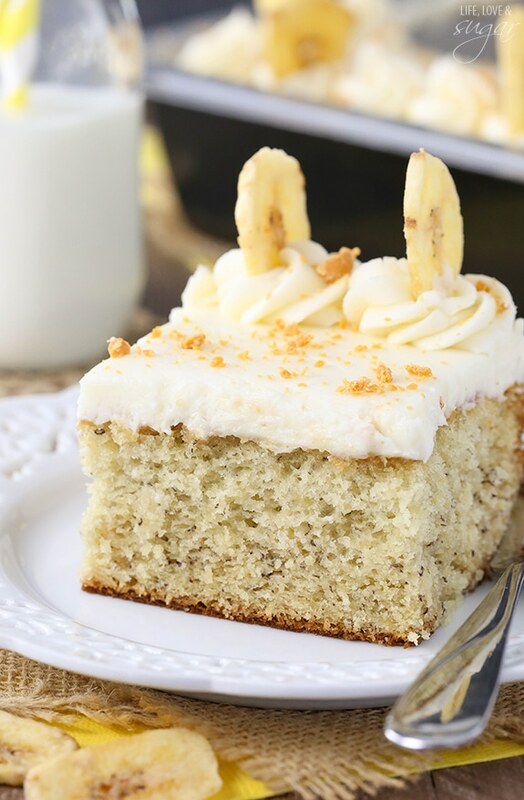 To start, the layers of banana cake are super moist and full of awesome banana flavor. And unlike some cakes, it’s not like eating banana bread – it’s cake. So, so good. It’s also fairly straight forward to make. The mixing method starts by creaming the butter and sugar. The creaming step is super important, so don’t skimp on it. I know you may be tempted to blend the butter and sugar just until it’s combined, but you really want to mix it for at least 3-4 minutes. It adds air to the batter that helps give the cake it’s fluffiness. 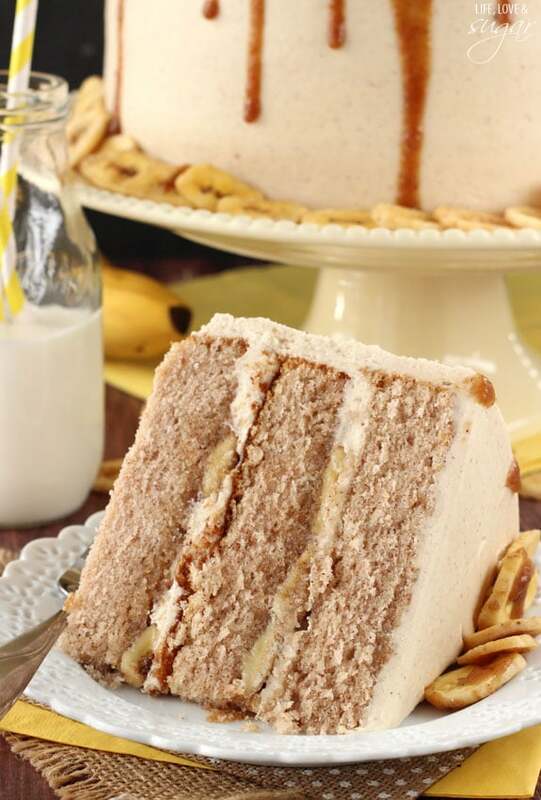 The cake also has a full cup of mashed bananas for lots of banana flavor! 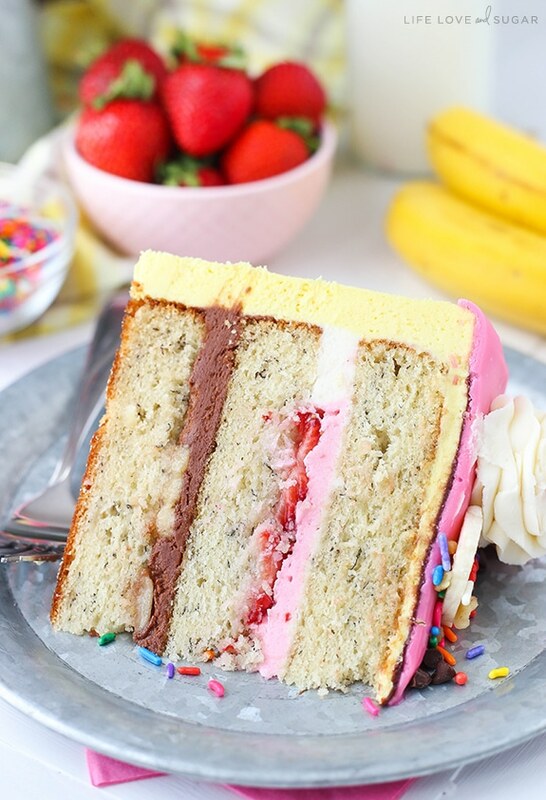 Between the layers, we’ve got the other fun banana split flavors. 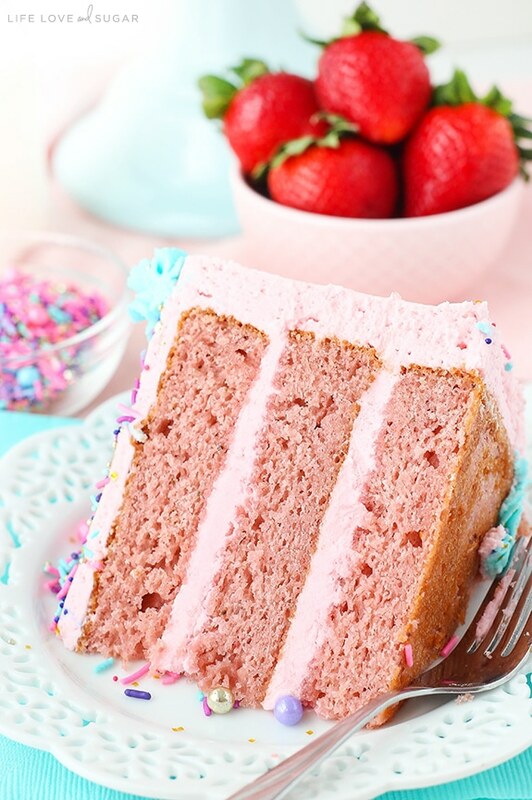 One layer is all about the strawberries – a layer of strawberry frosting with sliced strawberries. Because adding strawberry puree thins out the frosting a good bit, I piped a dam of thicker vanilla frosting to keep it in place, then filled it in. The other filling layer has chocolate frosting, sliced banana and chopped nuts. Such a wonderful combination! 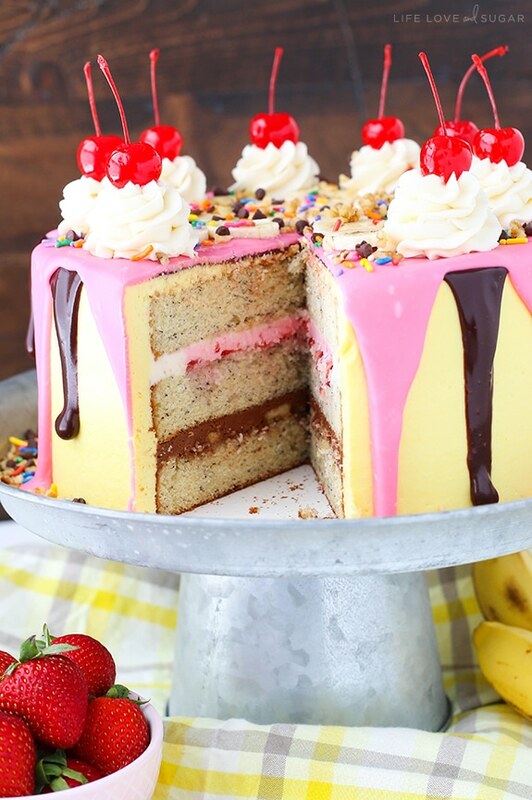 The cake is frosted with vanilla frosting that’s been colored yellow, then covered with chocolate ganache – made both with semi-sweet chocolate and pink candy melts. To finish the cake off, swirls of vanilla frosting mimic whipped cream then are topped with sliced bananas, cherries, nuts and sprinkles! 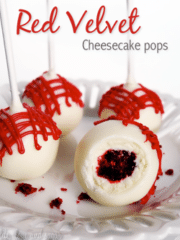 It is seriously heaven in cake form! I sure hope the decoration of the cake doesn’t deter you from trying it because the flavors inside are AMAZING! You could totally tone down the decor if you wanted. It’d be super cute even without the ganache over top. However, if you decide to go with the ganache, here’s a little bit on how I went about the two different ones. I first added the chocolate ganache. I used a spoon to add the drizzles evenly around the cake. Then I used my offset spatula to even out the top of cake with the ganache. There isn’t a full layer of chocolate on top, just enough to smooth out what’s left from drizzling down the sides. The pink ganache was poured over the top, then the offset spatula was used to push it over the sides and smooth out the top. Not hard, but can take a bit of practice to master. This cake really is pure deliciousness. I took it to work and every bite was met with lots of moaning, including one person referring to the effect as “a party in [his] mouth”. He was absolutely right too. It is the perfect party cake for a party in your mouth. 1. Grease three 8 inch round cake pans and preheat oven to 350°F (176°C). 2. Beat the butter and sugar until light and fluffy, about 3-4 minutes. Do not skimp on this step. Cream the butter for the full 3-4 minutes. 3. Add vanilla, sour cream and vegetable oil and mix until well combined. 4. Add eggs and egg white in two batches, mixing until well combined. 5. Combine dry ingredients in another bowl. Add half of the dry ingredients to the batter and mix until well combined. 6. Add the mashed bananas and mix until well combined. 7. Add remaining dry ingredients and mix until well combined. 8. Divid batter evenly between the cake pans and bake 24-26 minutes or until a toothpick inserted comes out with a few crumbs. 9. 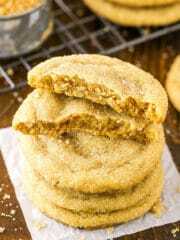 Remove cakes from oven and allow to cool for 3-4 minutes, then remove to cooling rack to cool completely. 2. Add the powdered sugar in 3 batches, mixing until smooth between each. About half way through adding the powdered sugar, add the water and mix until smooth. Frosting will be fairly thick. 3. Set aside 1 cup (240g) of frosting to make the chocolate frosting, then another cup (240g) of frosting to make the strawberry frosting. 4. Add the vanilla extract to the remaining frosting and mix until smooth. Set aside. 5. 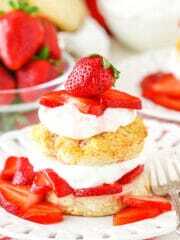 Add the 2 tablespoons of muddled strawberries to one of the cups of frosting and stir to combine. Add a little bit of pink icing color to the frosting to get a nice shade of pink, if desired. Set frosting aside. 6. Add the cocoa powder to the remaining cup of frosting that had been set aside in step 3 and stir to combine. Add an additional 1-2 tsp of water to thin out the frosting a bit, if needed. 1. Use a large serrated knife to remove the domes from the tops of the cake layers so that they are flat. 2. Place the first layer of cake on your serving plate or on a cardboard cake circle. 3. 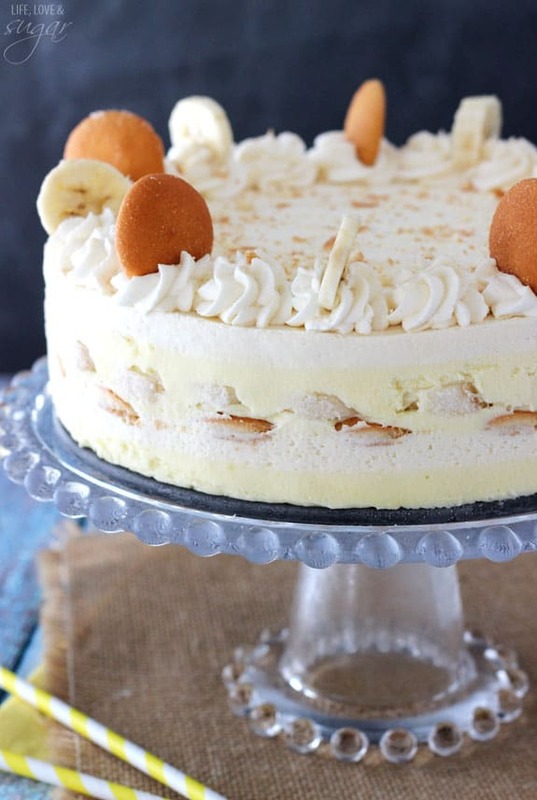 Place a layer of sliced bananas on top of the cake, then sprinkle the chopped nuts over the bananas. 4. Spread the chocolate frosting into an even layer over the bananas and nuts. 5. Add the second layer of cake on top of the chocolate frosting. 6. Using some of the vanilla frosting, pipe a dam around the edge of the second layer of cake. 7. 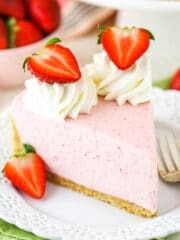 Place a layer of sliced strawberries inside the dam, then fill in the dam with the strawberry frosting. 8. Set aside 1 cup (240g) of vanilla frosting. It will remain white and be used on top of the cake later. Color the remaining frosting yellow. 9. Frost the outside of the cake with the yellow frosting. For help getting a smooth finish, refer to my tutorial. 1. To make the chocolate ganache, add the semi sweet chocolate chips to a small bowl. 2. Heat the heavy whipped cream until it begins to boil, then pour it over the chocolate chips. Allow it to sit for 2-3 minutes, then whisk until smooth. 3. Use a spoon to place the ganache around the cake, drizzling it down the sides in several spots. 4. Use an offset spatula to even out the top of the cake and smooth the ganache. Set the cake in the fridge to allow the ganache to set a bit while you make the pink ganache. 5. To make the pink ganache, put the pink candy melts into a medium sized bowl. 6. Heat 6 tbsp of heavy whipping cream until it begins to boil, then pour it over the candy melts. Allow it to sit for 2-3 minutes, then whisk until smooth. If it seems a bit thick, add another 1/2-1 tablespoon of heavy whipping cream. Note that the texture of this ganache will be a little different than the chocolate one because of the candy melts. 7. Pour the pink ganache onto the top center of the cake, then use an offset spatula to spread it to the edges and over the sides. 8. Allow the chocolate ganache to set up in the fridge for 15-20 minutes. 9. Pipe the remaining white vanilla frosting into swirls on top of the cake. I used Ateco tip 844, but Wilton 2D or 1M would work as well. 10. 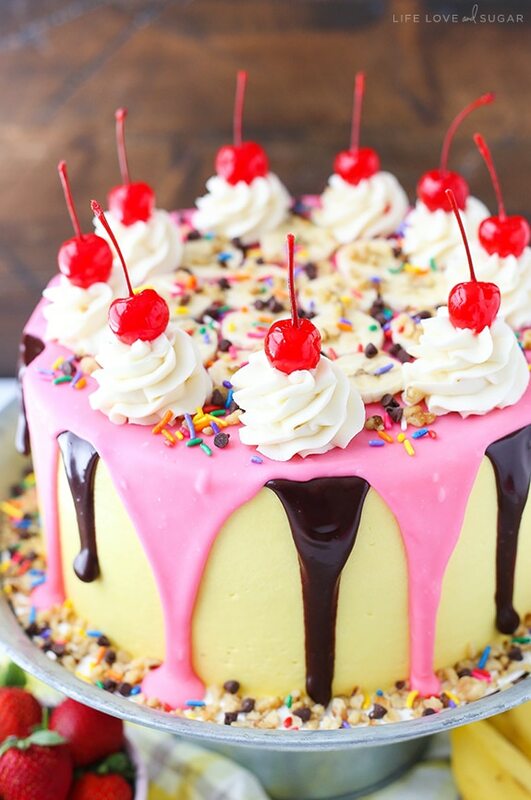 Top the frosting swirls with cherries, then add sliced bananas, some nut and sprinkles to the top of the cake. 11. 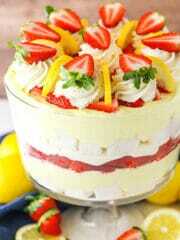 Refrigerate cake until ready to serve. Best served at room temperature. Cake is best for 2-3 days. This looks SO delicious. So great meeting you last week! This cake is absolute perfection girl! Like wow! Absolutely gorgeous!! 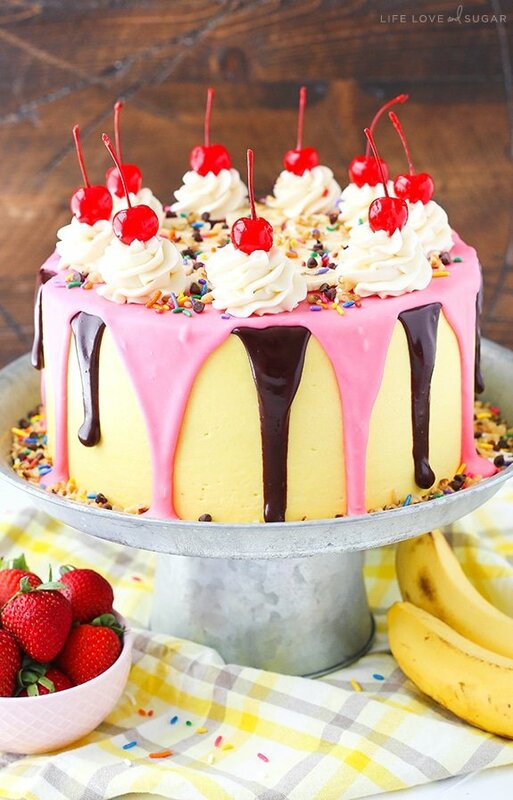 I don’t really care for banana splits but this cake is beautiful and makes me want to try it! 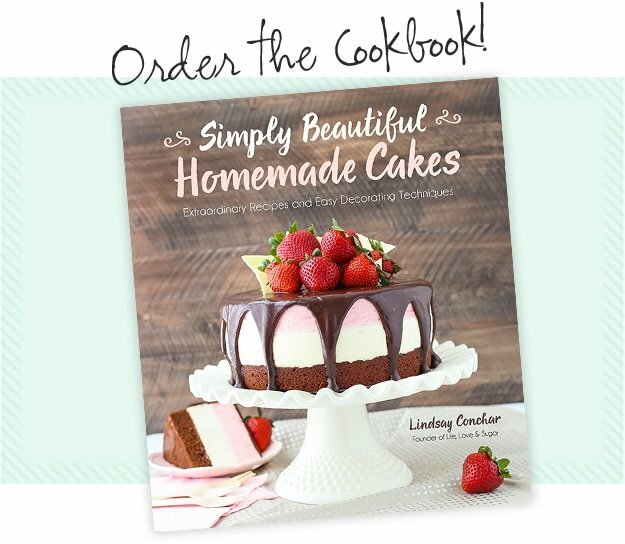 I can not wait for your cookbook to be published. I’ll be pre-ordering as soon as it’s available. 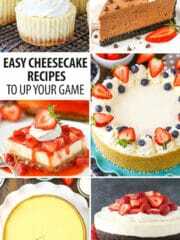 All your cakes look perfect! Planning to make this this week, but have a few questions. What are muddled strawberries? Also, why shortening in the frosting? 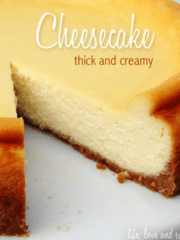 Could I substitute something else, more butter perhaps or cream cheese? Or is the shortening the way to go? Thanks! Muddled strawberries are basically mashed. I used my muddler, but you could use a fork or something. You just want to break them down a bit so you get some juices released but still have some bits of strawberries. You could even use a food processor. I typically use a combination of butter and shortening in my frostings. I prefer it and I think it holds up better than all butter. In this cake in particular, there’s a lot of moisture. But feel free to use all butter. Great! Thanks for the help! I’m considering adding a bit of crushed pineapple, too, just to round out the banana split effect. I look forward making it (and tasting it!) this week. Yes – I’d considered adding pineapple too! 🙂 I ended not knowing where else to put it, so I didn’t, but I think it’d be a great addition! It’s so fun to mash up classic desserts! This cake is stunning and I bet it tastes even better than it looks. I came up with this same idea about 6 years ago but I put pineapple in as one of the layers. 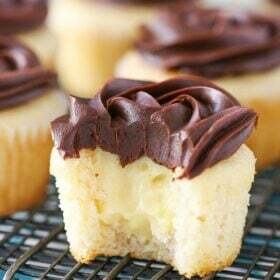 Instead of chocolate frosting I use fudge topping and instead of buttercream you should try whipped cream mixed with vanilla pudding mix. 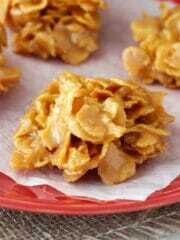 It makes it taste like vanilla ice cream and I sprinkle the top with crushed peanuts. Would this cake travel well? I’d love to make it for a family party, but it’d need to be in the car about two hours. 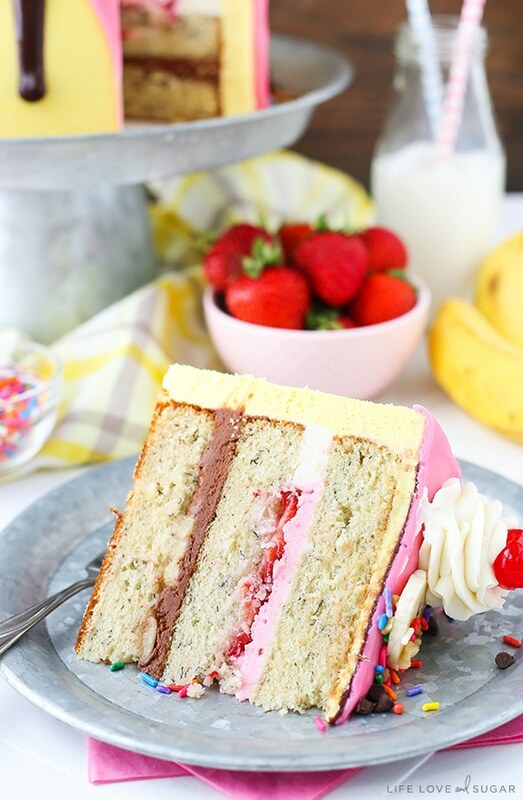 Given that you use frosting instead of whipped cream, it seems like it’d work well, but the thinness of the strawberry filling has me concerned about cake layers shifting. Either way, this is a stunning cake. Thank you! I understand your concern. I’m guessing it’ll be warm weather? If you want to try it, I’d refrigerate the cake before you leave so that it starts out a little firmer. 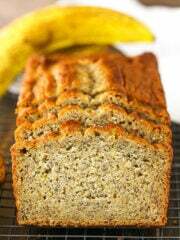 I have been searching for a true banana cake recipe for almost 2 years. Everything is usually banana bread with frosting (too dense to be a true cake) but this is CAKE. I did a lot less mixing than the recipe calls for, and I think that helped it stay light. Very happy with how this turned out, unlike the orange creamsicle cake, which tasted SOOOO MUCH like cream cheese and nothing like ice cream. This is definitely a recipe worth keeping. I made the cake and it is absolutely beautiful, but had a lot of trouble with the pink candy melt ganache. In the end, I just ended up dying white chocolate pink and dripping that down the sides for the look, despite the hardening. Not sure what went wrong, but the first time I made it (made it at least three times), the pink ganache seized/refused to drip. The cream was heated properly, so I’m at a loss except to say those candy melts tend to be questionable outside of making candy, but otherwise, this recipe was spot on. Can’t wait to see the kids’ faces when I show up with it. Thanks! I made the banana split cake for my son’s 3rd birthday last weekend and it turned out beautifully! I couldn’t believe I really pulled it off! AND my guests ooo’d and ahhh’d at it when they saw it, and gave even more praise when they tasted it. It took a long time and a lot of ingredients, but it really wasn’t hard to decorate. I wish I could load a picture of it. Thanks so much for the great recipe and tutorials! Awesome! 🙂 I’m so glad you enjoyed it! 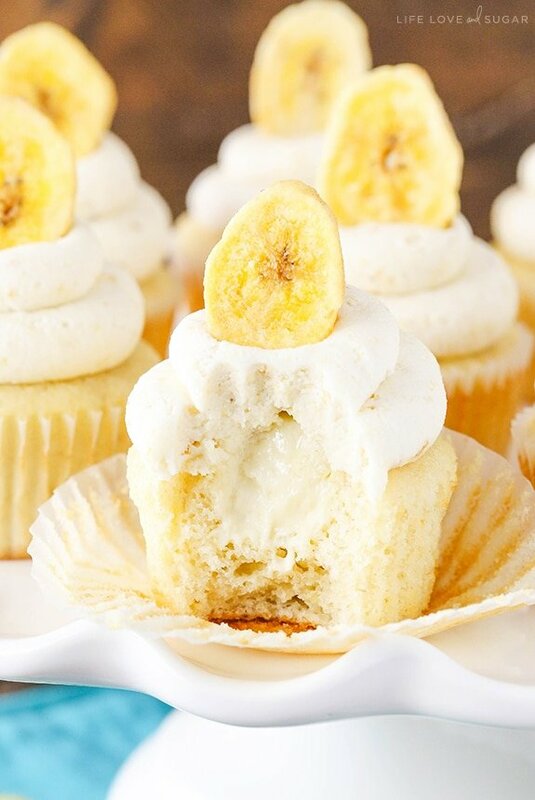 How do you keep the sliced bananas on the top from turning brown? Can’t really keep them from turning, but you can dip them in lemon juice to help delay it, add them just before serving or just not add them. Thank you! I can’t wait to try the recipe as it looks delicious! 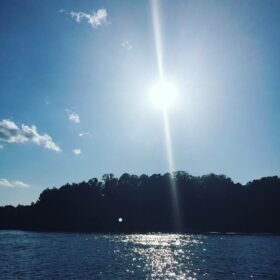 What can i use instead of shortening? 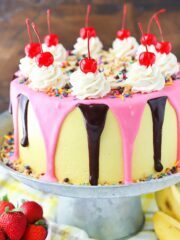 I don’t think i can find it where i live and also i read people saying that it sates like plastic 🙁 is there another ingredient that can make the frosting look so nice and stiff? Please give advice how to avoid moisture on top of the cake.. yesterday I made banana cake but the top was very sticky.. please suggest.. Some moisture from the cake can settle on the very top. Once you cut the dome off of the cake though, it’s gone. Made this cake for my sons birthday and decorated to go with his Curious George theme. It was delicious. What a cute idea! Glad you enjoyed it! Can I make this cake a day in advance? Would there be a problem with the bananas in the chocolate frosting? Sure, the cake is best for 2-3 days. I recommend refrigerating the cake and then serving it at room temperature. It is a butter replacement. You can replace it with additional butter if you’d like.